This Recall does not include Kidde Professional or Badger branded fire extinguishers. Units with metal handles/valve assemblies are not included in the recall. 2. 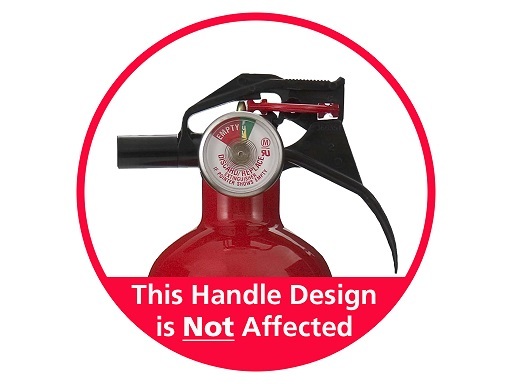 If you believe that you may have an affected model, before continuing, also use the Fire Extinguisher ID Guide (link above) to locate and collect your Model Number, Serial Number, and Date Code (if applicable). The Date Code is a 10-digit number printed on the side of your fire extinguisher, near the bottom. Digits five through nine represent the day and year of manufacture, and these five numbers are what you will need to proceed. 3. When you are ready to proceed, select your unit from the list below. Note: If you have a push button model used on a personal watercraft such as a JET SKI®, be sure to select the personal watercraft option. For more information regarding specific Canadian models affected by this recall, please visit the Health Canada Recall posted on the Government of Canada website.